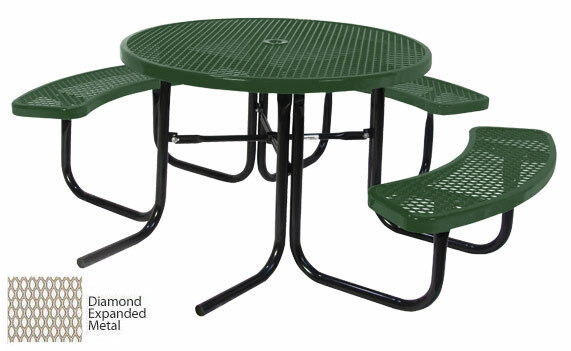 Round Outdoor Picnic Tables by Ultra Plays Systems are 9-gauge steel tables that have been coated by 4 different durable finishes for exceptional quality. 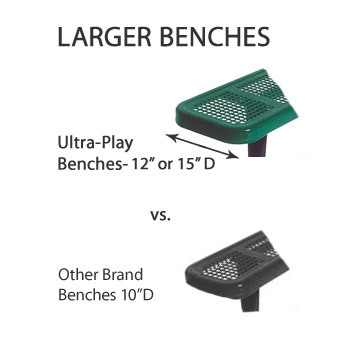 The 3/4” diamond shaped expanded metal openings allow water to drain and prevent standing water. 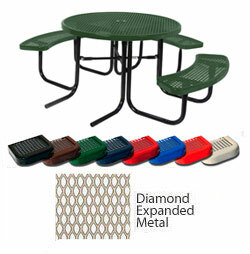 Rounded corner top and seats offer safety around playground areas. 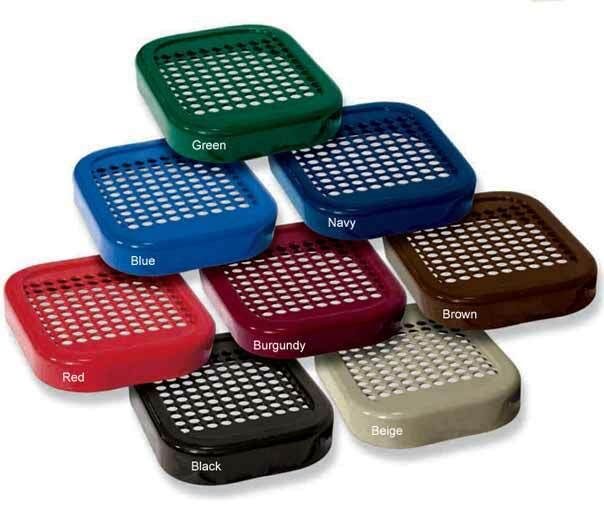 All welded frames made of 1-5/8" O.D. galvanized 14-gauge iron pipe, finished in your choice of powder coat color.